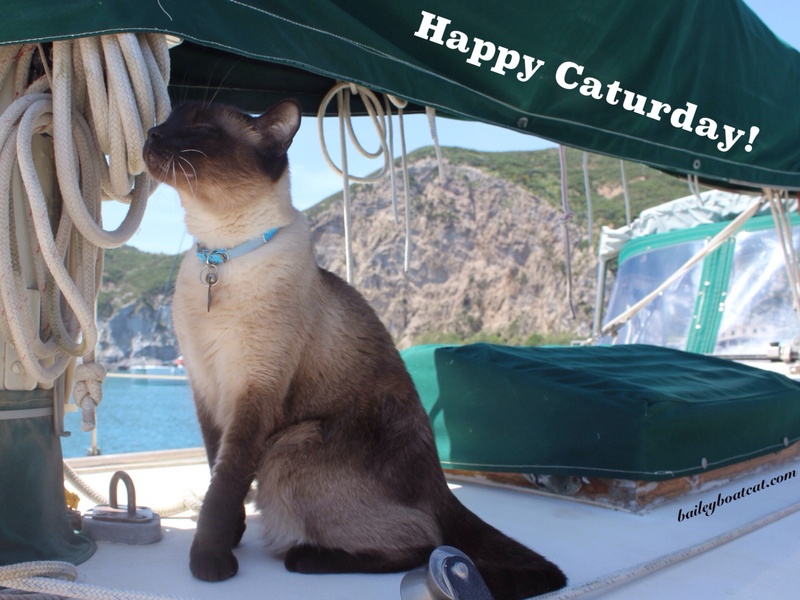 I’d like to wish you all a very HAPPY CATURDAY! I hope you’re all having a pawesome day! We’ve all been very busy here and we have very exciting news… our plan is to move back afloat ASAP! As you might remember we were in the process of buying a bigger boat back in 2015. Fortunately, in retrospect – we’re firm believers of everything happens for a reason – that sale fell through and we stayed living on Nocturne until Dad’s work transferred his base and we had to move onto land. We have made the best of landlubbing, but it’s really not for us. We can’t wait to get back to life afloat. Unfortunately, as we already knew back in 2015, with our plans in the future to expand our family (we’ve already added twelve paws since we moved off Nocturne), we will need a bigger boat. We all love Noccy very much but we know that she will make someone else very happy and safe in the future when we have to say au revoir to her. In the meantime, Dad has been over to see her in Menorca and spent time with her. She’s loving life in Spain and is itching to get back into the water. We’ve made a very exciting move putting in an offer on a new boat. Since we got our paws burnt last time, we’re being more cautious about getting emotionally involved this time until everything is certain. It’s going to be a pawesome year furiends and I can’t wait to share it all with you. « 2017 Recap and Wishing you All a Happy and Healthy 2018! 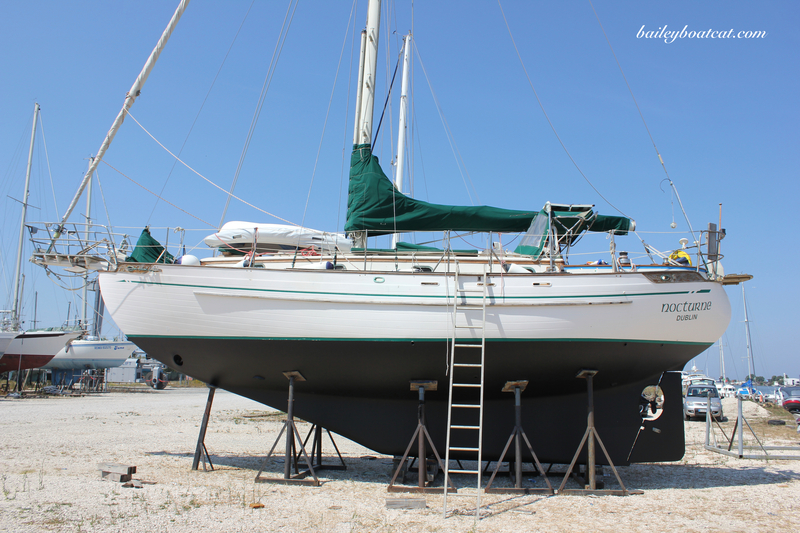 Buying an existing boat is more straightforward process than building one. However, if you decide to build a superyacht one day I could recommend several pieces of advice. You can find this advice in my book “Successful, win-win strategies for a superyacht project – what makes or breaks the construction of a superyacht”. If you let me know your postal address I will post one to you with a dedication. This is exciting news! I’m looking forward to seeing what happens and photos! At one time, we talked about getting an older Morgan and fixing it up – they are a bit much to single-hand, but most time is spent at anchor, where they are very comfortable. One that we were considering even had a tub, washer, dryer and full size kitchen sink! Looking forward to the adventures of all 8 (?) of you……on your new boat ! I hope your new boat is out there just waiting for you guys to find it and move in! Dear Bailey, this is very exciting news! 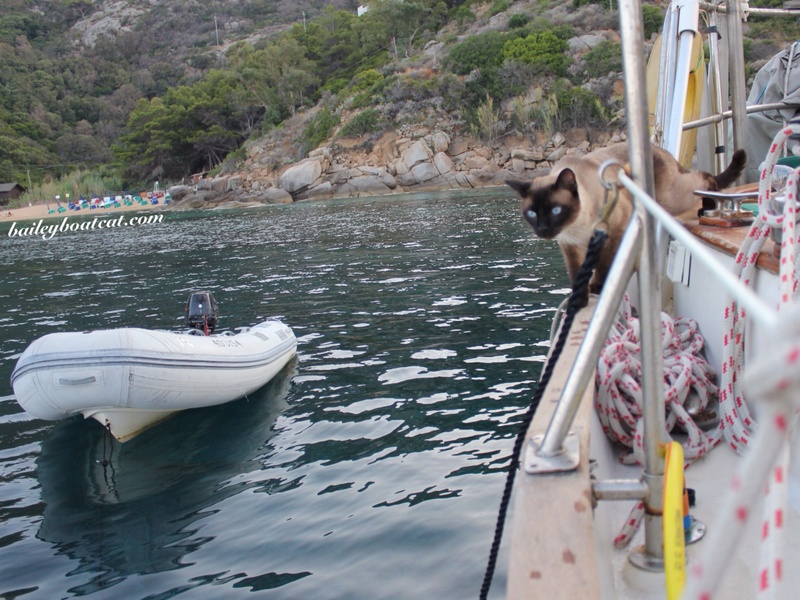 We know you will be very happy to get your paws back aboard, and you’ll get your crew trained up in no time! AHOY! Hope the purchase of your new yacht comes through! Bailey I hope you and the whole family will have a new home afloat soon because I know in your hearts you want to be sailing the seven seas. Keep us posted! How exciting! And I know you’re taking a paws 🐾 on approach and helping out, too. We hope the boat shopping is going well. There’s always a lot of learning and planning along the way. It took us nearly two years of planning when we bought our own horse ranch, and another year of additional construction. It is all worth it to make a dream come to life.